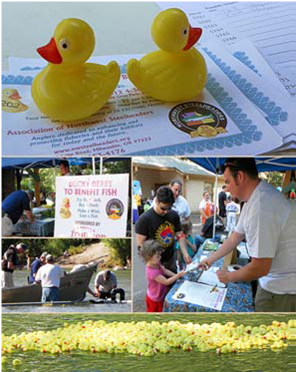 The 2012 Ducky Derby took place as part of Troutdale's Summerfest On Saturday on July 21. All proceeds from the Derby go to help the Association of Northwest Steelheaders work to enhance fish and their habitats for today and the future. Big thanks to Art Israelson for putting this together again this year, it is more work than it looks and Art does a great job in coordinating the ducks, prizes and volunteers.